83% OFF this pass, deal ends 04/26/19 at 11:59PM. 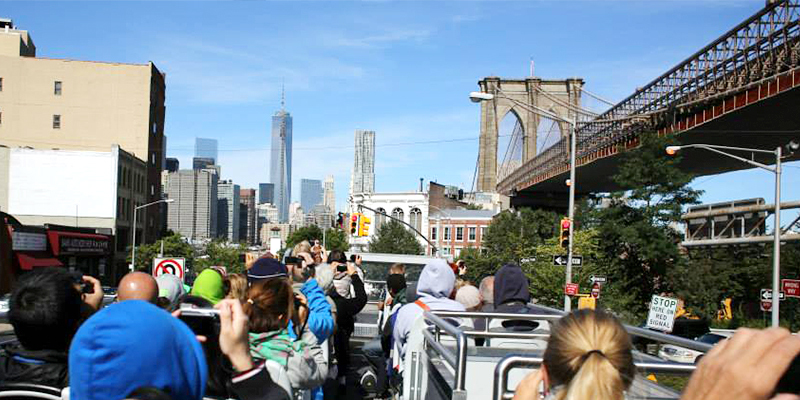 Begin your New York adventure by taking in Manhattan’s famous landmarks on our Downtown Tour. 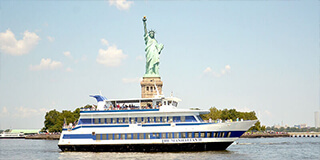 Then, sail the East River on the Statue of Liberty Cruise and see the city’s breathtaking skyline. 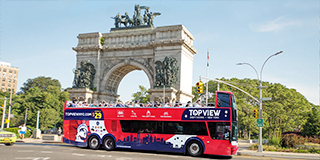 TopView's Hop-On Hop-Off Downtown Bus Tour provides you with a comprehensive overview of all that Manhattan has to offer. From your seat on our impressive double decker buses, you’ll enjoy an 11-language audio-narrated tour of the city’s downtown area. 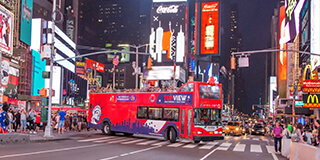 As you pass by Times Square, Rockefeller Center, Flatiron Building, Madison Square Garden, and other landmarks, you also have the option to hop off at designated bus stops and explore the area at your leisure. Once you have satisfied your curiosity, just hop back on when the next bus comes around. No visit to New York is complete without seeing the Statue of Liberty. 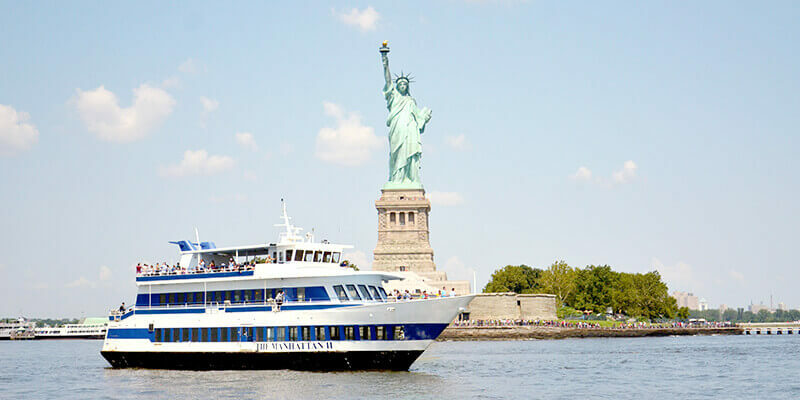 Set your sights upon Lady Liberty from an unmatched vantage point by taking a Statue of Liberty Cruise. This tour takes you across the city’s waterways and treats you to sweeping views of Ellis Island, the Manhattan skyline, Governors Island, Brooklyn Bridge, and other breathtaking landmarks. A live tour guide further enhances the experience by providing you with interesting facts and stories about all that you see. Informative and full of impressive photo-ops, this cruise lets you see the New York City in a totally unique way. Day 2 takes you to Uptown & Harlem, areas that are rich in cultural heritage. 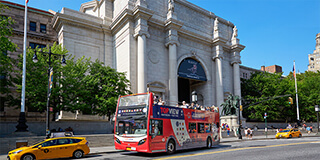 On the way back, take your time exploring the world-famous American Museum of Natural History. On Day 2, experience NYC's culture and nature in Uptown Manhattan. 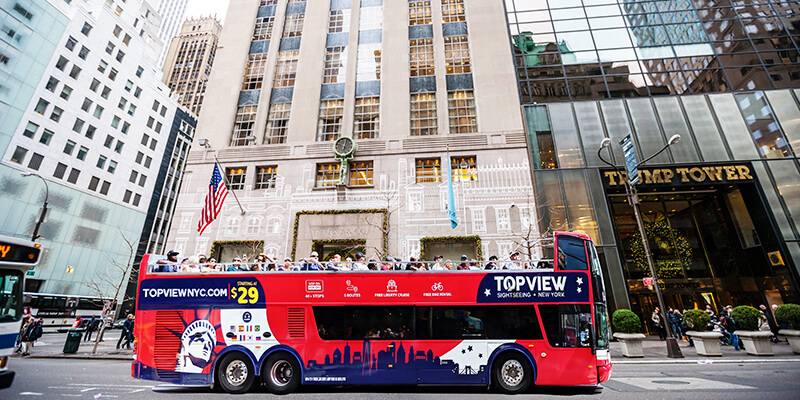 On the Uptown double decker bus tour, you will see and learn about Central Park, Dakota Building, Cathedral of St. John the Divine, Port Authority, Columbus Circle, and more. The tour also goes to Harlem, giving you an opportunity to see the famous Apollo Theater and get a taste of the local cuisine. The bus tour is hop-on hop-off so you can get off at any bus stop along the route and explore further at your points of interest. 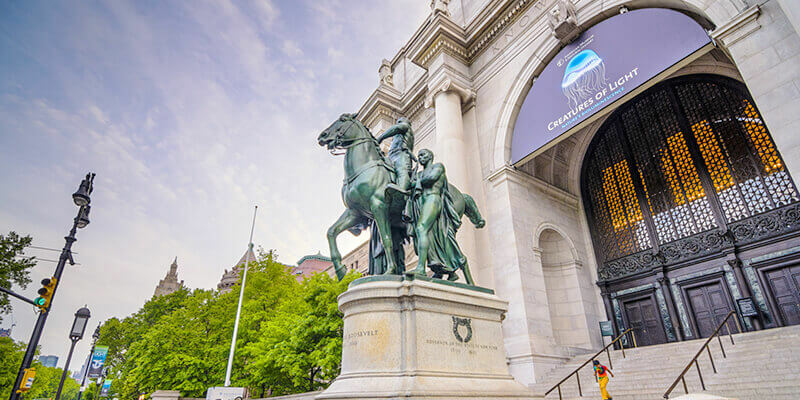 Visitors and locals alike agree that American Museum of Natural History is a fundamental New York experience. 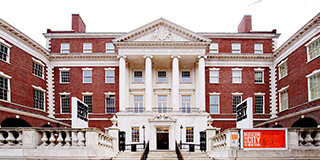 Located on the Manhattan’s Upper West Side, the museum’s mission is to educate patrons about the wonders of human culture, space, the oceans, and the planet. This amazing building houses a vast collection of fossils, plants, minerals, human remains, and other fascinating artifacts. 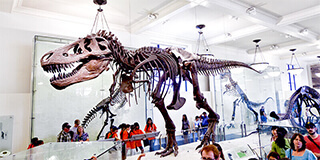 Towering dinosaur fossils are just one of the American Natural History Museum’s many awe-inspiring features. A visit to this world-class institution deserves to be on every visitor’s to-do list. Start off Day 3 with a tour of Brooklyn, New York’s hippest borough. 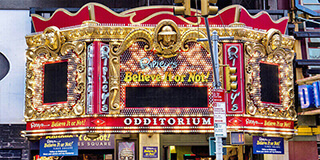 After heading back to Manhattan, you can explore the oddities of Ripley’s Believe It or Not! before ending your day with a 2-hour bike tour in serene Central Park. Brooklyn is one of New York City’s coolest neighborhoods. After boarding our double decker bus at Battery Park, you’ll cross the East River and enter this iconic borough: s part of the city which has both deep historical roots and a brand-new identity. State-of-the-art audio narrations will provide you with entertaining and educational commentary as you pass landmarks like the Barclays Center, the Botanic Garden, and Prospect Park. Your above-the-crowd vantage point will also grant you with impressive views and unmatched photo-ops of the area’s beautiful architecture, the famous Brooklyn Bridge, and the breathtaking Manhattan skyline. For a completely unique experience, a visit to the Ripley’s Believe It or Not! in Times Square is a must. This kid-friendly spot is nothing short of unforgettable. Located in this sweeping 18,000 square foot “odditorium,” you’ll find an impressive collection of bizarre and uncommon artifacts. From authentic movie props to jaw-dropping recreations, there are over 500 incredible displays that will captivate visitors of all ages. 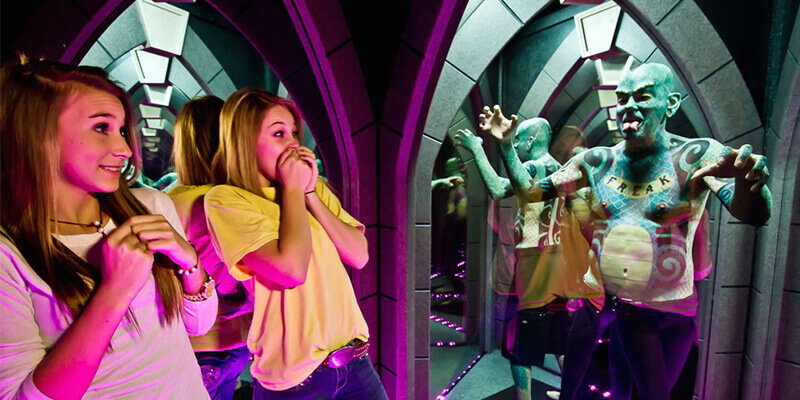 Interactive experiences like the spinning light tunnel called “The Black Hole,” will excite and disorient you, while a fun on-site escape room provides even more hands-on fun for you and your family. A bike tour is the best way to learn and experience the beauty of Central Park. This 2-hour tour invites you to pedal along with an experienced guide to hear stories and fun facts about the spaces and structures that surround you. Explore the famous sites like Bethesda Fountain, Sheep Meadow, Strawberry Fields, Bow Bridge, Belvedere Castle, the Naumburg Bandshell, the Central Park Carousel, Tavern on the Green, and other sites that are frequently featured in popular New York films. You’ll appreciate the city on a deeper level after touring the Museum of the City of New York. After the sun sets, see the city come to life by taking an after-hours trip on a special Night Tour. If you want to truly understand the beauty of New York City, a visit to the Museum of the City of New York is essential. This local non-profit provides visitors with an exciting look into the vast history of the city. Featuring a host of interactive exhibits and an impressive collection of historical artifacts, you’ll be taken back in time to some of the city’s most significant historical events. Artistic works, historical photographs, and vintage maps walk you through how a collection of islands on America’s East Coast grew into the bustling urban epicenter it is today. When night falls, New York City truly shines. 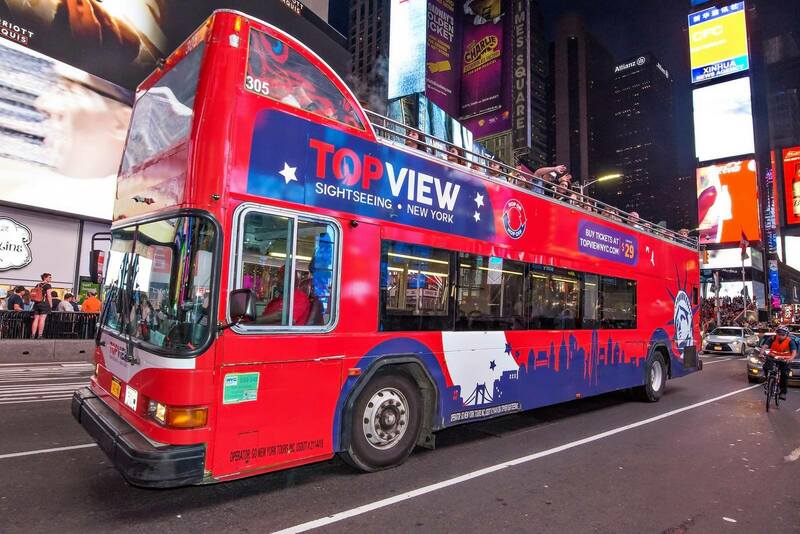 Don’t miss a moment of the action by joining our Night Tour - an after-hours double decker bus tour of Manhattan. 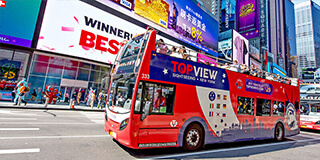 Under the dazzling billboards of Times Square, our tour heads south and passes illuminated landmarks like the Chrysler Building, United Nations, and Grand Central Terminal, as well as the glowing neighborhoods of Greenwich Village, Chinatown, and Little Italy. 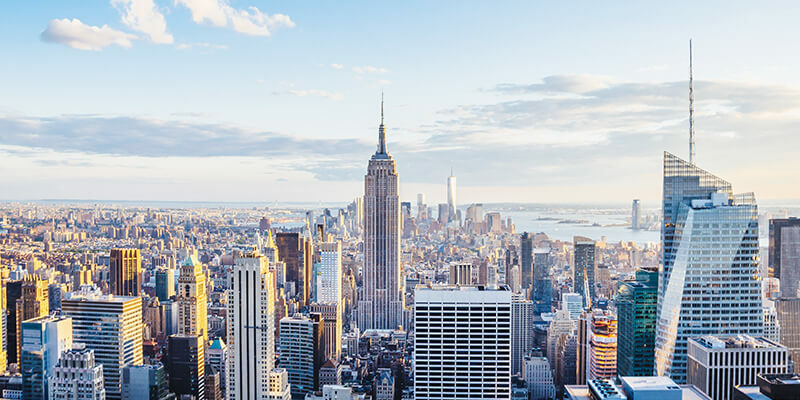 From there, you’ll cross the East River to Brooklyn, where you’ll be treated to sweeping views of the Brooklyn Bridge and the twinkling lights of the New York City skyline. On Day 5, you can explore some of the Bronx’s most iconic landmarks. 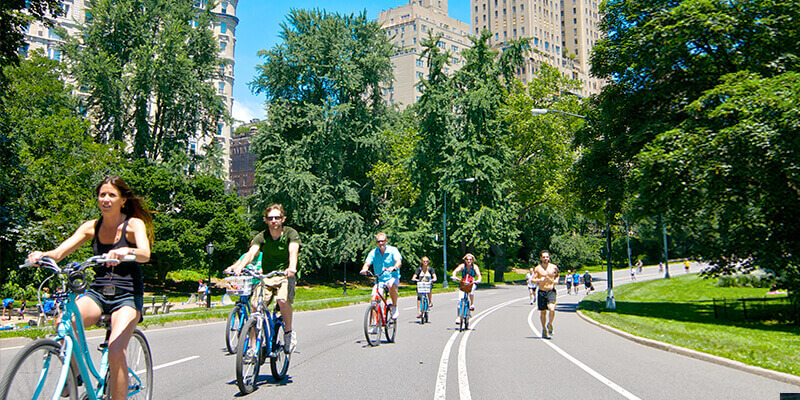 Then, enjoy some quality time in the city as you use a leisurely 4-hour Bike Rental in the beautiful Central Park. Rich in history, the Bronx is a borough unlike any other. 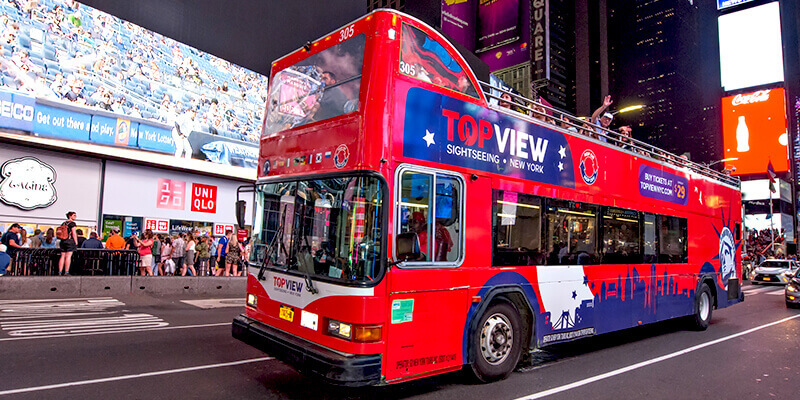 Travel to an area most tourists miss by joining TopView's audio-guided double decker bus tour. On your way, you’ll pass through the beautiful areas in Midtown and Uptown. Once you reach the Bronx, you’ll enjoy unmatched sights from your above-the-crowd vantage point. Baseball fans will especially appreciate the sprawling splendor of Yankee Stadium. One of the MLB’s most impressive arenas, some of the sport’s most incredible athletes have all played under the stadium’s lights. 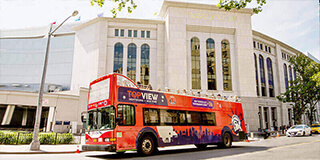 Anyone who appreciates baseball’s historic past will benefit from a tour of the Bronx. Your New York days call for a trip to serene Central Park. This beautiful greenspace is located in the heart of the city and has been providing New Yorkers with an escape from hectic city life since it first opened to the public in 1858. To discover hidden gems that lie within the park’s sweeping 843-acres, take advantage of a 4-hour bike rental. Explore beyond the iconic spots like the Bethesda Fountain, and enjoy some peaceful time at the park. As you pedal the picturesque pathways, you'll be able to experience the park in a New Yorker's way.